OSCAR ADLER FAGOT ORCHESTRA MODEL MOD.1358. 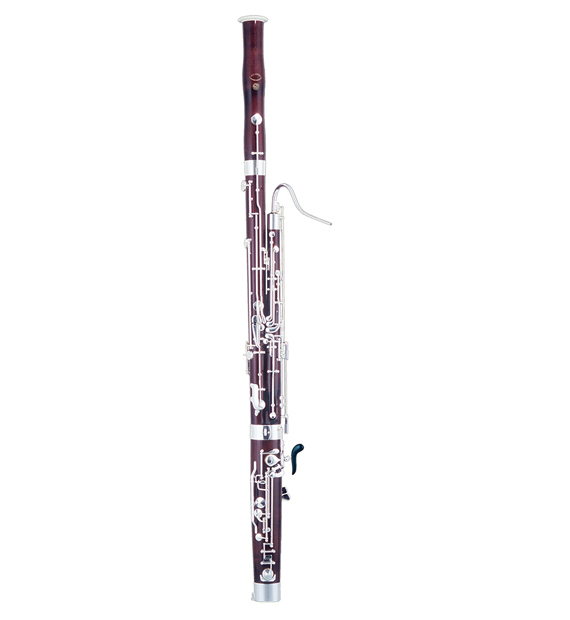 The Adler 1358 Bassoon is made from well seasoned maple wood. It comes with 26 keys, 10 rollers and a high-D key. It has 3 trill keys and comes complete with 2 bocals. It has an Eb-key at the wing joint and 2nd Bb-key. It has a silver plated mechanism and comes with a carrying case. Instrument Specifications: 26 keys 10 rollers High-D key Eb-key at the wing joint Ab/Bb trill key 2nd Bb-key Ab for right thumb 3 trill keys (F#/G#, C#/D#, E/F#) Silver plated mechanism Well seasoned maple wood Complete with 2 bocals 'O. Adler & Co.' Nr. 1 and 2, case, cover with carrying sling system, accessories Optional high-E; C#/D# connection. ÖN BİLGİ VE SİPARİŞ İÇİN MÜŞTERİ TEMSİLCİSİ İLE GÖRÜŞÜN.